With changing times, mindset and priorities of people have also evolved. Companies and more importantly architects in Lahore and Pakistan have realized that when it comes to designing an office, one of the key factors to keep in mind is the comfort and well-being of employees. Office designs that are trending this year in Pakistan focus on ensuring that the design is kept basic yet provides comfort to employees. Modern office designs in Pakistan are shifting trend towards an aesthetic that is more inspired by nature as people yearn for contact with natural surroundings. There is an increasing demand for designs to incorporate pleasant home-like corners along with relaxing spaces at work premises. 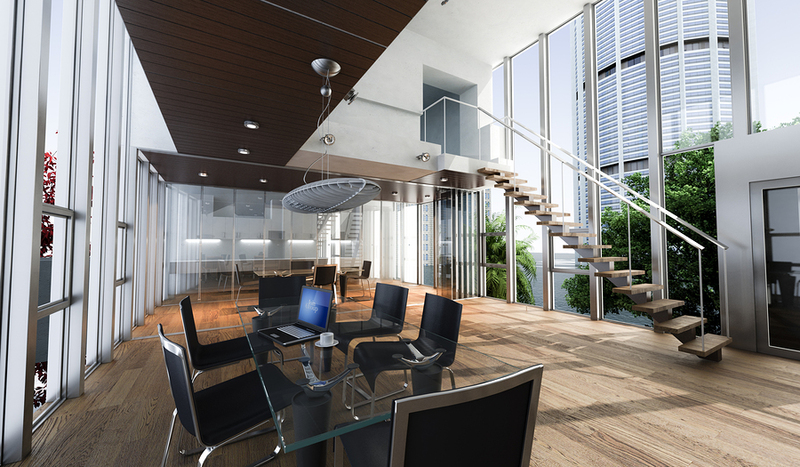 There is a growing trend of a more relaxed and comfortable office space. Shared kitchens, lounge rooms, library corners and resting areas are some concepts that have recently been admired and incorporated in formal working spaces. Architects in Lahore give special attention to details while designing such areas just to make them as comfortable as your house. The underlying objective is to create a working space such that it assists the employee in attaining a relaxed state of mind. For instance, the use of a free-standing framed canvas on the shelf or a colorful casual couch are usually placed in co-working lounge rooms. Another major demand of the era is to have everything that you are surrounded with to be gadget-friendly. Technology is no longer a luxury, it has been deeply integrated into every minute of our lives. Architects bear in mind and create workspaces that integrate effectively with technology. It is a much needed trend that’s on a rise. Wireless charging of devices has already become part of home furniture and is also incorporated to be part of office interiors as well. Office desks and coffee tables with built in power stations and multimedia capabilities have become an essential part of well-designed and flexible work places. As stated above, people prefer to be close to nature and are mentally more relaxed and focused in natural surroundings. Office interiors are finally making a swift shift from shiny flawless planes towards a more natural and primal finish. The aim is to incorporate creative design that ensures a comfortable natural feeling in the workplace. The use of natural colors is on the rise when it comes to office designs in Pakistan this year because with busy lives it is important to have a surrounding that calms our state of mind. An effective office design will focus on the needs and comfort of its users as opposed to what looks fancy on the outset. A creative space, relaxing areas and silent rooms will complement an aesthetic office design that brings with it integrated technology as well as nature-inspired décor. Hopefully this will help keep employees motivated, relaxed, focused and happier at work.